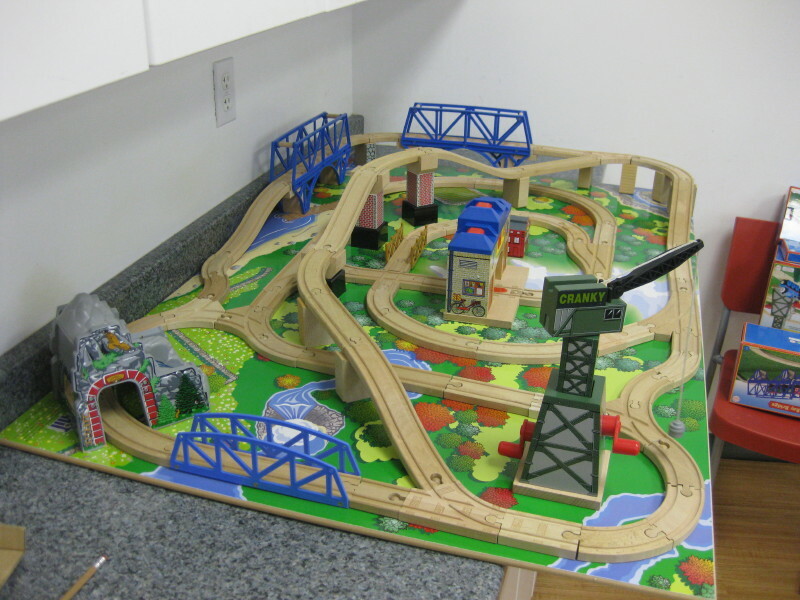 Meyer's can permanently attach Thomas, Brio or equivalent track and accessories to the table board, eliminating the frustration of kids pulling apart their train set-ups! 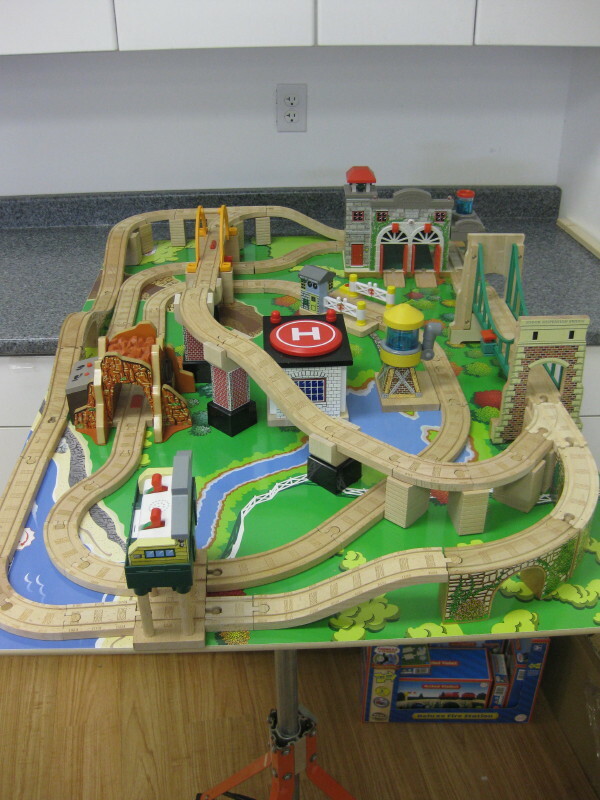 Meyer's can create the perfect layout to fit in your budget, and permanently attach the pieces to the trainboard. We discretely screw the pieces from the bottom up, since glues or tape will not hold. We can use the pieces you already have, or add more from our vast selection in our store. 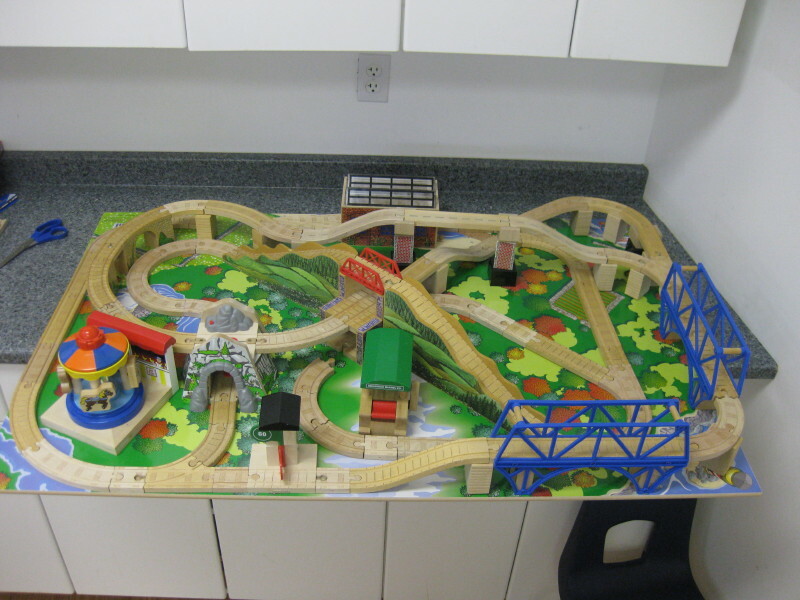 Labor charges for this service are usually around $100, and most layouts take between 7 and 10 days to complete. Call (973) 740-9400 to find out more details on this great service!